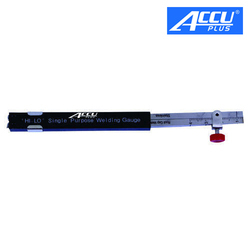 Our product range includes a wide range of taper gauge, digital depth gage, 0-25mm/0-1", automatic weld gauge, hi-low welding gauge gal, bridge cam gauge and fillet welding gauge. 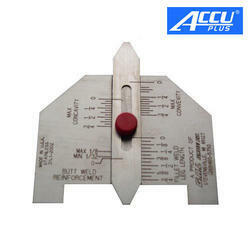 Measure depth of small groove and hole, also measure depth of tire tread. Resolution: 0.01mm/0.0005". Buttons: on/off, zero, mm/inch. Supplied with zero set surface. Automatic power off, move the digital unit to turn on power. Battery CR2032. Data output. Made of stainless steel. Optional accessory: data output cable(code 7306-20,7302-SPC5A/SPC5B, 7305-SPC2A). 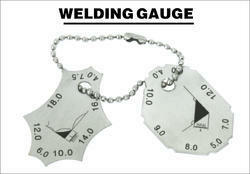 Clients can avail from us Automatic Weld Gauge that is used for various industrial applications. 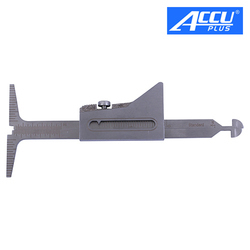 Our firm is ranked amongst the reputed names in the market for offering an extensive range of Hi-Low Welding Gauge Gal Besides, we present this series to our clients at nominal prices. 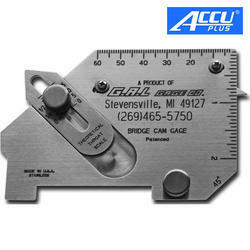 Remaining in tandem with the guidelines laid in the industry, we are offering Bridge Cam Gauge.